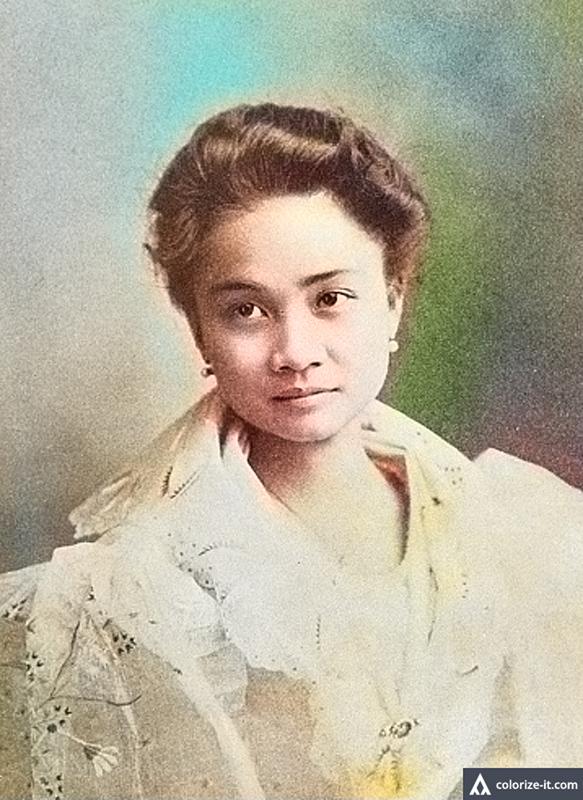 Portrait of Clemencia Lopez of Balayan. Image source: The Story of the Lopez Family: A Page from the History of the War in the Philippines. Above, a portrait of the beauteous Clemencia Lopez of the prominent family of Balayan during the latter part of the Spanish colonial era and early part of the American colonial era. Clemencia is best remembered as the first-ever Filipina to ever set foot in the White House, having sailed as she did in 1901 to the United States to plead for the release of her brothers who had been incarcerated upon the orders of the American military government in the Philippines. She stayed on in the United States to continue lobbying for Philippine independence among liberal Americans; and upon her return to the Philippines became among the founders of the feminist movement in the country. Her portrait above has been extracted from the 1904 book entitled “The Story of the Lopez Family: A Page from the History of the War in the Philippines,” written by Canning Eyot and published in Boston, Massachusetts. It has been processed using graphic editing software to enhance quality and colorized courtesy of Algorithmia. The original black and white version of the top photo as extracted from the book.